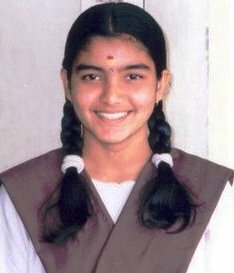 Shruthie Naresskrishna, the elder daughter of my brother Naresskrishnaa and wife Shailaja, has scored 87.6% in her Class X examination, results for which was declared on 30th May 2008! More than the overall score, what is impressive is her marks in Mathematics - a centum! She intends taking Commerce Group.